Composite Hoses are very flexible and longer lasting alternative to stiff rubber and Polyethalyne hoses for petroleum and chemical transfer. Composite hoses ar made from multiple tight-wound thermoplastic tubes and films that create a barrier to permeation. Specialized mfg process techniques assures the proper pitch and gauge of the inner and outer wires to ensure consistency and conformity every time. The result is a truly flexible thermoplastic composite hose that doesn't collapse or kink with exceptional service life and offers superior performance and safety. 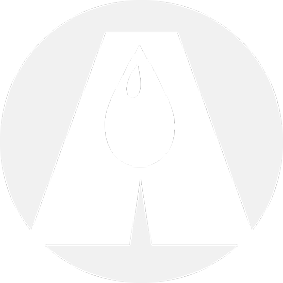 Arm-Tex is a distributor for US Hose/Willcox Hose, and Uni-Chem Composite Hoses which are built with many layers of reinforcing fabrics and seamless tubes that prevents permeation by both polar fluids (like methanol) and non-polar liquids (like gasoline). The result is a composite hose with cover and structural layers that do not deteriorate due to chemical attack; that maintains maximum durability, strength, and flexibility that is compatible with the widest range of chemicals. Most hose assemblies have full end-to-end electrical continuity with less than 10ohms resistance that is achieved by bonding both the inner and outer wires to the metallic end fittings. The result is a composite hose that prevents sparking and arc-over hazards and meets the electrical properties requirement of most industrial applications. Each US Hose Willcox Hose end fitting is specifically manufactured and designed to produce a perfect engagement with the hose. The tailpiece and ferrule are permanently attached by the external swaging or crimping process. Ultimately providing a hose and fitting combination that performs to rated burst pressure and assured of 100% performance of the complete hose assembly. 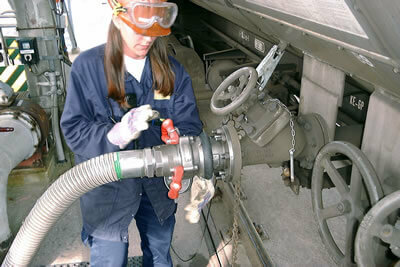 Arm-Tex offers a full line of industrial composite hose. 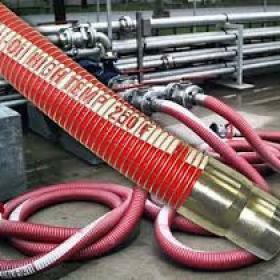 All hoses are pressure tested, stamped with a serial number and have traceability through test results with each and every hose. Dock and marine hoses up to 16” with flanged ends are avaiable. 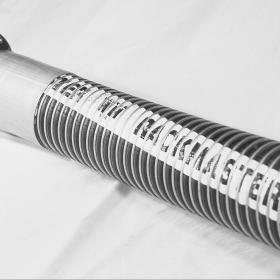 Contact Arm-Tex today for more information on our composite hoses for your project or process. Engineered to deliver maximum chemical compatibility and on-the-job performance, Willcox Composite Hoses provide substantial advantages over rubber and metal hoses. Durable and versatile, Uni-Chem PG Composite hose is manufactured for both in-plant liquid transfer and rail car loading/tank truck delivery.